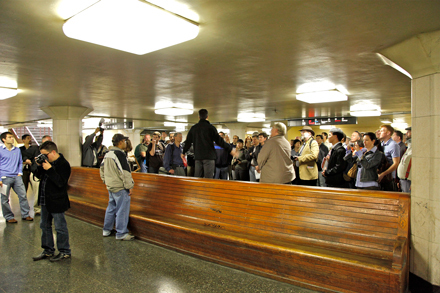 The following are memories collected from visitors during the Transbay Terminal Historical Tours on July 31, 2010. 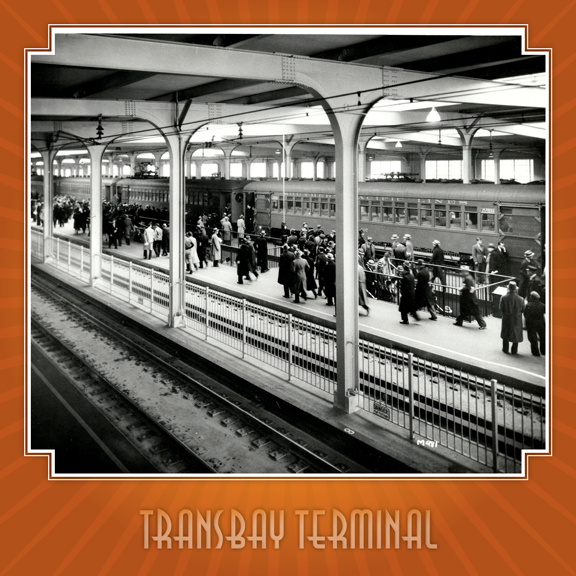 We love hearing your stories, so if you would like to share your historical memories of the Terminal in its heyday, please send them to memories@transbaycenter.org, and we may post them here. 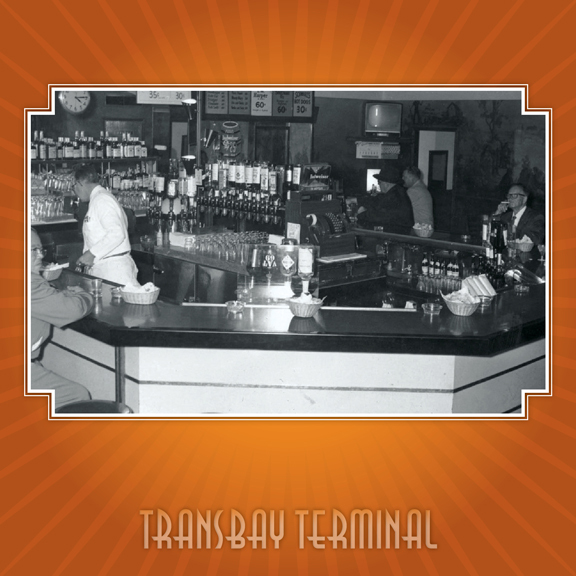 “Back in the early 1980’s, I remember coming to the Transbay Terminal when they had the little store open, the bar and the restaurant that served food. 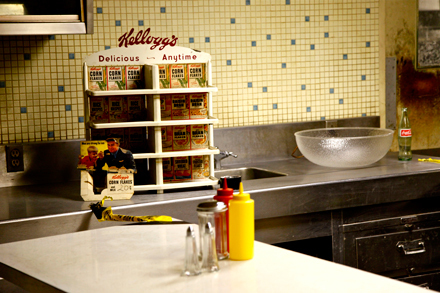 It was like a mom & pop restaurant and the prices at the time were very reasonable. There were tickets offices open as well for Reno and Tahoe Trips. 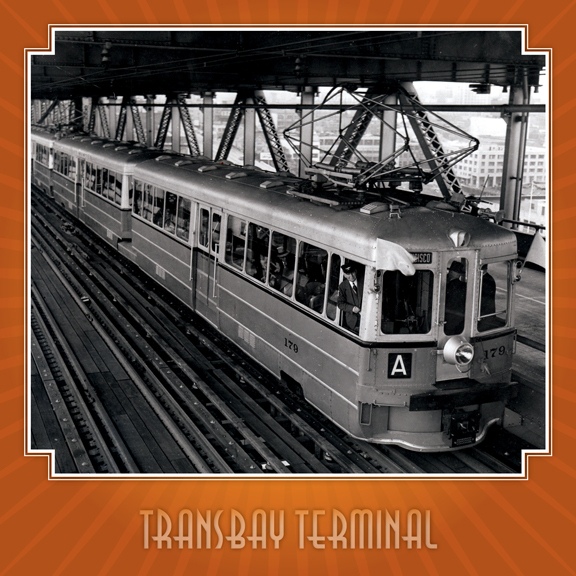 “Since 1979, I have commuted to and from the Terminal daily on AC’s B, F, N, and V Transbay lines. 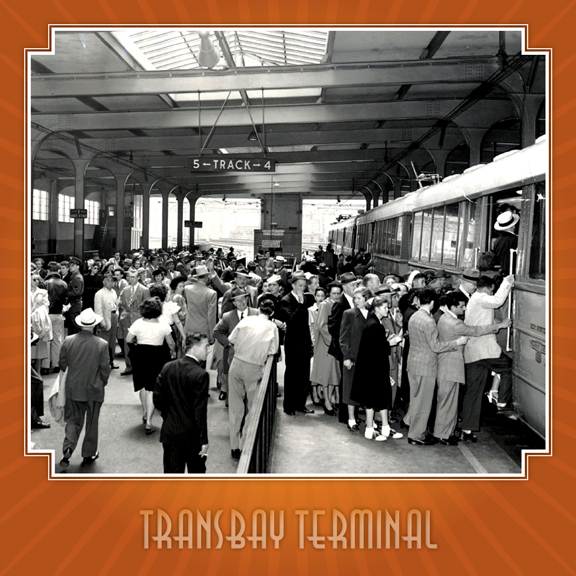 Until the 1989 earthquake, the Terminal was a lively place. There were two restaurants and a bar, which was happily and noisily patronized at night. There were ticket vending windows for AC, trips to Reno, and Amtrak. There were two stalls actively selling newspapers, magazines, sandwiches, drinks, candy, cigarettes, etc. from dawn until late at night. Chronicles and Examiners were piled high for sale in the atrium before the ceiling was lowered and the windows blocked for the Greyhound terminal. People constantly circulated in and out of the Terminal. Many of them were patronizing the building’s services and businesses, not commuting. In the 1980s, the Terminal and its neighborhood still probably looked a lot like the Key System years, although more run down to be sure. 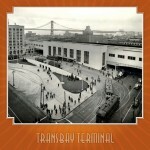 Terminal Drugstore and Terminal Fun Center, an arcade, were across First Street between Mission and the Terminal. The arcade was seedy, as was the surrounding area. 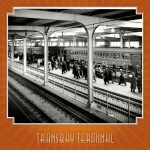 But the Terminal and its neighborhood remained alive and infused with San Francisco’s distinct character. Mission Street still had a collection of post-fire industrial and mid-rise office buildings that were unmistakably San Franciscan. The Loma Prieta earthquake changed all that. CalTrans shut down all the businesses in the Terminal. Willie Brown targeted the Terminal for demolition and redevelopment. Real estate developers began to demolish the old buildings on Mission, Fremont, First, and Howard Streets. Ten years after the earthquake, Mission Street between First and Second and Fremont Street bore little resemblance to a decade earlier. Downtown spilled across Market Street, as modern office buildings displaced the predominantly blue-collar, downscale character of the neighborhood. Then, the housing bubble brought high-rise condominiums in, and the neighborhood continued its transition into an upscale neighborhood for the wealthy seeking a pied-a-terre with a commanding view of the Bay. But no matter how dirty, neglected, and blighted the Terminal became with each passing year, it remained a welcoming and dignified place for me. 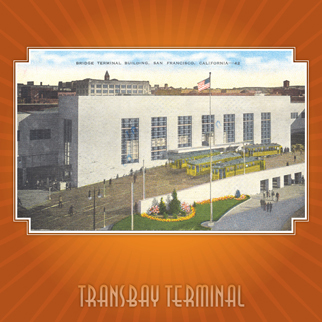 Even cut off from its natural light by the addition of the Greyhound terminal and changes to the skylights, the train shed continued to enjoy its original gift of natural light. 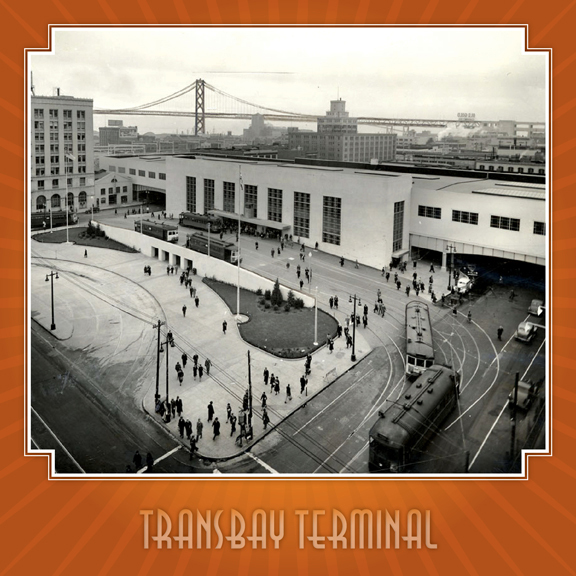 Its hugeness and massive structural canopy continued to remind of the building’s original monumental purpose, as the train station for the Bay Bridge. The well-designed railings, ramps, tile work, and benches still evoked the distinctive style and modernity of the 1930s and Pflueger’s handiwork. “I have very fond memories of AC Transit’s Z and F lines —The lines were continuously on-time with the most courteous supervisor at the station and bus drivers. Now, unfortunately, I am saddened to see latenesses, delays, and cancellations. Hope it’s just a temporary transition phase. The supervisor still continues with a smile and cheerful attitude. He’s extremely responsive and quick. You are very lucky to have him—I don’t know his name, but he was always there at the old SF Terminal when we had questions or concerns. Emeryville is a difficult place to commute to (by mass transit). Thank you AC Transit for being there. You’re the best!! 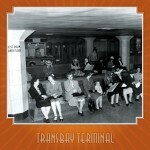 “I have fond memories of the Transbay Terminal from back in the mid 1950s. I remember getting on an F train with my mother many times from the end of the line located at Solano and The Alameda in Berkeley, heading to San Francisco. On the train I would enjoy sitting at the front, looking out the window at the scenery. While on the bridge, I looked at the bay, and the truck and bus traffic on the lower deck next to the trains, as well as the trainman in the cab. Watching the trainman was my inspiration for becoming one myself at a museum years later. As the train came off the bridge and into the terminal, seeing all of the tracks, I wondered which track it would go in on. 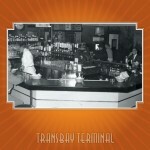 We would then get on a Muni streetcar that came up to the front of the terminal and go to The Emporium to shop. Returning home it was exciting for me to watch the trains come into the terminal and we would get on and go back home. It was a sad day for me when the trains stopped running on the bridge and going to the Transbay Terminal. 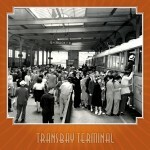 “When I first got to Berkeley in 1973, I took a Transbay bus to the SF terminal. 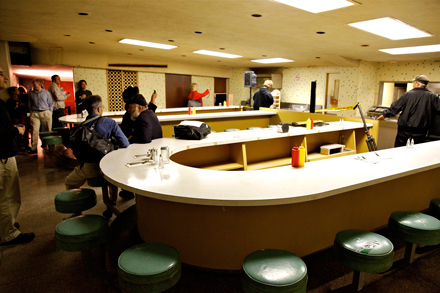 I thought it looked much like a large urban bus terminal in the movies—with a newspaper stand, a shoeshine station, a concession with magazines, cold drinks, candy, etc., a pretty nice bar in case you missed your bus, thanks, and a neat little lunch counter that served a pretty good sandwich. The place was bustling. But what I remember most was the pharmacy across the street on the corner of First and Mission—a big lighted sign read, Terminal Drugs. I always appreciated the owner’s sense of humor. 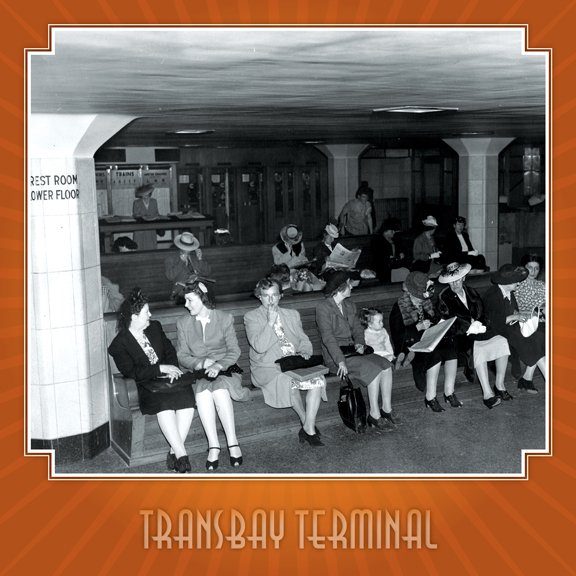 “My most memorable experience of the Transbay Terminal is when I was picked up by ambulance after getting off the O bus because I had gone into labor with my first child. This was back in 1976. The transit persons on duty cleared the bus lane and someone sat with me on a bench to make sure I was okay. I was scared, but the people working there were so kind and reassuring!